The meaning of my charm has always held a place close to my heart but last night it all came to fruition. For those who didn’t realize the HHM charm is created of 3 M’s and 3 V’s that each make a heart that join together to form the symbol of the trinity. As you can imagine I was dumbfounded by how clear and distinct it was in a directive to all of us in regards to any evil done against us and as a reminder to not partake or hide that evil. Since then, I found the Maria Goretti Network, a support group for abuse survivors, which had formed a few years earlier by Miguel Prats and Fr. Gavin Vaverek. I continue to remain involved in this support group, on their board and in support of them expanding to as many Catholic parishes in the United States as the Bishops will allow. As you might assume, now might finally be the time this group gets some traction because it is greatly needed in each parish. About two years later I founded Hopeful Hearts Ministry and realized that was what the symbol had meant to be used for all along. This symbol of strength for survivors has been ‘saved’ in Pinterest over 3000 times, used as a tattoo by hundreds of survivors, even myself, and even referenced on The Keepers official FB Page as a symbol of strength for survivors of abuse. Last night we held a mass of reparation for the church and healing for survivors. It was at this time I felt finally seen, heard, and acknowledged. In his homily, the priest called for an ‘audit’ of ALL the church, every priest of every parish, including every superior. 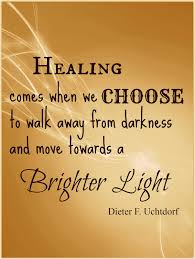 That we needed to get the truth into the light so we could truly begin to heal from within, and that all of those found to be guilty of these horrid offenses need to be tried civil for justice for the victims. I felt Victorious, no longer put off as that ‘Survivor who won’t stop putting in our face this ugly business’ and invited to stand with the rest of the Deacons, spiritual advisors and counselors after the mass to answer questions. 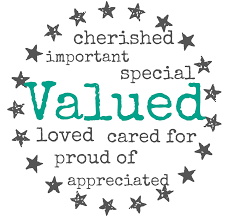 I was approached by a few parishioners who had very good questions which I was able to answer to the best of my ability I felt Venerated ( respected). When I was approached by our own young priests to help them with answers and continue to help them with survivors who come to the church for healing I felt Valued. 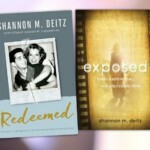 Read more about Shannon’s Story in EXPOSED and REDEEMED available on Amazon. Victorious, Venerated and Valued. Powerful words from and for a powerful,yet gentle, lady. What a great start to bring healing to the people of the church (of every denomination) and those outside the church. Thank you Shannon for beginning and continuing this most needed ministry. Thank you, RaDonna. This means so much to me. You are a blessing as well.